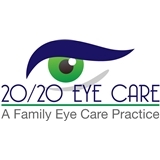 20/20 Eye Care (Alpharetta) - Book Appointment Online! We are pleased to welcome you to our office! Our goal is to provide you and your family with exceptional customer service and quality eyecare. We strive to exceed your expectations and maintain a long term relationship with you. 20/20 Eye Care has a great selection of frames from some of the top designers. We also offer the most updated eyeglass and contact lens technologies available. With all of the lens and frame options to choose from, our Optician will make the best recommendations to fulfill your individual needs. We can fit any budget, lifestyle and hobby. We are excited at the opportunity to care for you and your family's eye health. We hope to make all of your visits as pleasant as possible. Please feel free to call us if you have any questions or would like to schedule an eye examination appointment. Great Doctor!! Very Professional ! !